Parents of kids with Asperger’s (AS) and High-Functioning Autism (HFA) have a bigger influence than anyone else on how their children make it through the new school year. Be part of the solution with effective methods that will make this the best school year ever – by participating, organizing, advocating, and any other means necessary. 1. Adopt the mind-set of “change the environment.” For example, if the educator regularly complains about your youngster's lack of desk-sitting etiquette, save the day with ideas for managing movement, reducing sensory overload, and increasing comfort. Click here for more information on creating an effective learning environment. 2. A “fine motor skill” is the coordination of small muscle movements, usually involving the synchronization of hands and fingers with the eyes. Many AS and HFA children have fine motor skills deficits. Therefore, finding the best writing instrument can make a significant improvement in the quality of their written work – and their classroom behavior. Don't just throw a random box of #2s into your cart and hope for the best. Rather, see if your youngster can benefit from a more specialized approach. Click here for more information on fine motor skills deficits. 3. Create a “contact log.” Getting what your AS or HFA youngster needs from school staff is much easier when you can quote the date you were promised something (e.g., an IEP meeting), when it was promised to occur, and who promised it to you. Instead of leaving all this information to your overworked memory bank, jot it down in a contact log. 4. Keeping your spirits up will be difficult when you're battling educators who don’t understand autism spectrum disorders, dreading report cards, and struggling over homework. But, maintaining a positive “can-do” attitude WILL put your youngster on the road to academic success. When you show your child that you have faith in him, he will begin to have faith in himself. Click here for more information on homework-related issues. 5. Parents of “special needs” students need to learn about the differences between a 504 plan under the Americans with Disabilities Act and an Individualized Education Plan (IEP). Click here for more information on IEPs. 6. Organization is a common problem for many kids on the autism spectrum. Disorganization often results in missed assignments and tests, not having the correct books for homework, etc. Talk with your youngster and get her input on where she needs the most help. Then, the two of you make a plan. When making this plan, consider the following: how homework be communicated (e.g., written down or dictated); if color-coding books by subject would help; what type of binder or folder will be used for loose papers; what type of school bag will work best; what your youngster’s new timetable will be at home and school; whether or not having two sets of school books/tools would be helpful; and if a calendar or diary will be helpful. Click here for more information on organization skills. 7. You are the expert on your child. A simple way to share your knowledge with school staff is by preparing a summary of information on your youngster. The summary should include the following: calming methods, emergency contact numbers, medications, strategies that don’t work, strategies that do work, strengths, and weaknesses. Keep your summary short, and format it so that it is easy to read. Give copies to all school staff who will have interactions with your youngster. Click here for a fact sheet (email or hand-deliver a hardcopy) that provides a short description of AS and HFA – and associated behaviors. 8. Parents are the best advocates for their AS or HFA youngster, because they know their youngster best. However, they can’t be an effective advocate if they don’t have a good working relationship with the individuals involved in their kid’s education. How can moms and dads foster a working relationship with their youngster’s educators, aides, and other school staff in the new school year? Get involved in any parent/teacher organizations. Make and maintain contact with your youngster’s educators before any issues arise. Thank your youngster’s educators when they make a special effort for your youngster. Also, volunteer to help in your youngster’s classrooms, schools, or on field trips. Click here for more information on advocacy. 9. Your youngster doesn't just sit at her desk all day. There are other, less-structured moments that can act like stumbling blocks on the road to academic success. So, stay informed on what your youngster goes through as the school day progresses (e.g., on the bus, at recess, lunch, gym, in the restroom, etc. ), and know how intervene. 10. When the parent is standing up for her youngster's rights, it's important to have a good command of the bureaucratic language – especially when the parent is involved with individuals who throw out lots of elaborate terms to let her know they know more than she does. Thus, learn a few IEP acronyms with a cheat sheet (one is provided below). Transition plan: This part of the IEP is for older students and lays out what your adolescent must learn and do in high school in order to succeed as an adult. He and the IEP team develop the plan together before it takes affect at age 16. The transition plan includes goals and activities that are academic and functional, but they extend beyond school to practical job training and life skills. Special education: This is specially designed instruction to meet the unique needs of your youngster. It should be designed to give her access to the general education curriculum. Related services: This includes any support services your youngster needs to benefit from special education (e.g., transportation, occupational therapy). Present levels of performance (PLOP): This is a snapshot of how your youngster is doing currently. PLOP describes your youngster’s academic skills (e.g., reading level) and functional skills (e.g., making conversation, writing). The school prepares this report for the IEP meeting. This is the starting point for setting annual IEP goals. Accommodation: This is a change to (or in) your youngster’s learning environment. Accommodations can help him learn and then show what he’s learned without having his deficits get in the way (e.g., if your youngster takes longer to answer questions, he can be given extra time to take a test). Even with accommodations, “special needs” children are expected to learn the same content as their classmates. Standards-based IEP: This alternative to the traditional IEP is only used in some states. A standards-based IEP measures a child’s academic performance against what the state expects of other children in the same grade. Due process: This is a formal process for resolving disputes with a school about special education and IEPs. Other ways to resolve a dispute include mediation and filing a state complaint. Annual goals: The IEP document lists the academic and functional skills the IEP team thinks your youngster can achieve by the end of the year. These goals are geared toward helping her take part in the general education classroom. Parent report: This is a letter that parents write. It’s a good way for them to document their youngster’s strengths, challenges, and success at school, home, and in the community. By sharing the report with the IEP team, parents give the team a more complete view of the youngster. Modification: A modification is a change in what the child is expected to learn and demonstrate (e.g., the educator may ask the class to write an essay that explores five major battles during a war, but the “special needs” youngster with a modification may only be asked to write about the basic facts of those battles). Least restrictive environment: Children with documented disabilities must be taught in the least restrictive environment (i.e., they must be taught in the same setting as children without documented disabilities as much as possible). The school must offer services and supports to help the youngster with an IEP succeed in a general education classroom. Individuals with Disabilities Education Act (IDEA): IDEA is a federal law that guarantees all kids with disabilities access to a free and appropriate public education. General education curriculum: This is the knowledge and skills that all children throughout a state are expected to master (curriculum varies from state to state). Supplementary aids and services: These are supports to help your youngster learn in the general education classroom (e.g., special equipment, assistive technology, audiobooks, highlighted classroom notes, etc.). Extended school year services (ESY): Some children receive special education services outside of the regular school year (e.g., during the summer, during Christmas break). Disability: To qualify for an IEP, your youngster must have a disability that is one of the 13 categories listed in the Individuals with Disabilities Education Act. Learning and attention issues usually fit into one of three categories: specific learning disability, speech or language impairment, and other health impairment (e.g., ADHD). Behavior intervention plan (BIP): This is a plan designed to teach and reward positive behavior. The plan usually uses techniques to prevent and stop problematic behaviors. It can also have supports and aids for your youngster. To get a BIP, your youngster must have a functional behavioral assessment (FBA). Progress reporting: This refers to how the school will report to parents on their youngster’s progress on annual goals. Assistive technology (AT): This includes any device, equipment or software that helps the youngster work around his deficits. AT can help the youngster learn, communicate, and function better in school (e.g., apps that read text aloud). 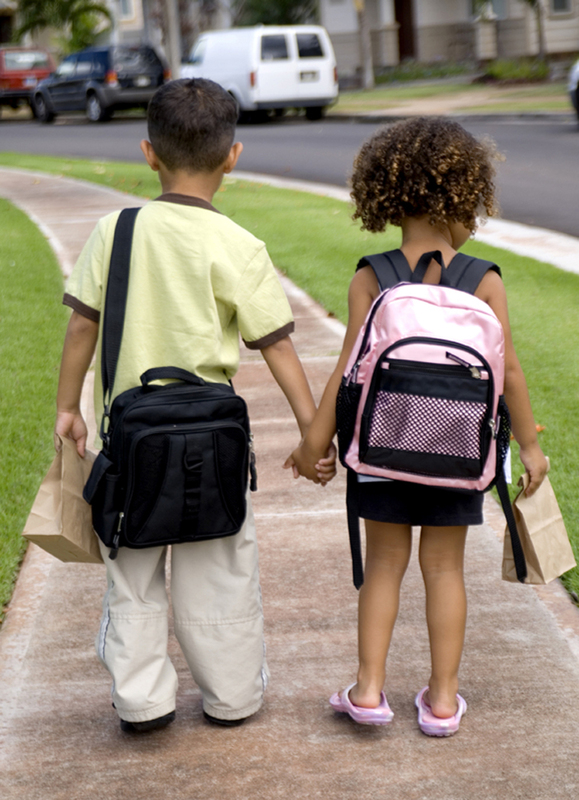 Starting school is usually a difficult time for kids on the autism spectrum. Every youngster is hesitant to go somewhere new and see a bunch of strangers she has never met before. Moving up a grade means having a new teacher, facing more academic demands, and adjusting to a changing social circle. Children who are starting school for the first time or moving to a new school have to cope with an even bigger adjustment. The good news is that with a little bit of preparation, parents can make those first weeks of school easier for their AS and HFA children.